Abria and Eric are the perfect couple. They were calm, happy, and very much in love. When I first met them back in November, I connected with them immediately…and couldn’t wait to photograph their wedding. It was such an honor to capture their special day. It was the perfect day for a beautiful Charlotte wedding. The weather was bright, crisp, and sunny, and their wedding at the South Charlotte Banquet Center was absolutely stunning. Every detail was carefully considered, and their guests had a wonderful time. Here is a sneak peek of their beautiful day. 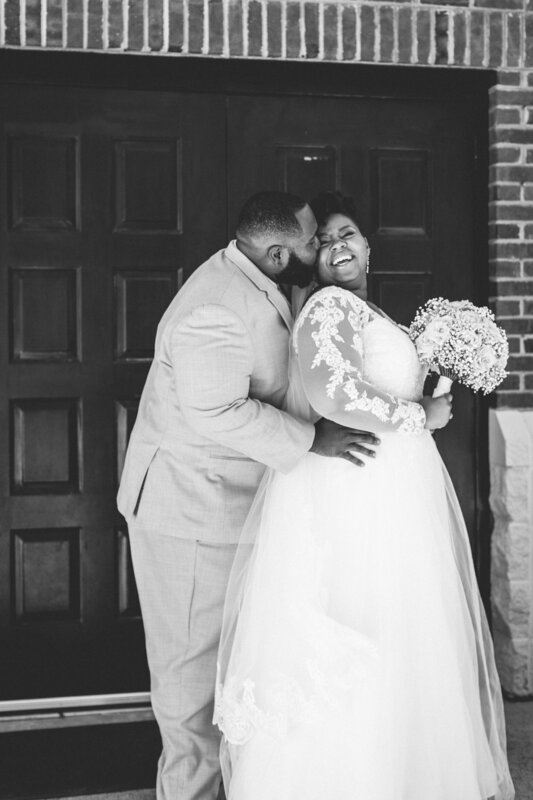 What did you think of this beautiful South Charlotte wedding? Let me know in the comments below! Sharetha Monique is a maternity, newborn, child, and family portrait photographer in Charlotte, NC. Follow me on Instagram: @sharethamoniquephotography and on Facebook: Sharetha Monique Photography. To keep up new content, and stay informed of exclusives and special offerings, sign up for my newsletter!